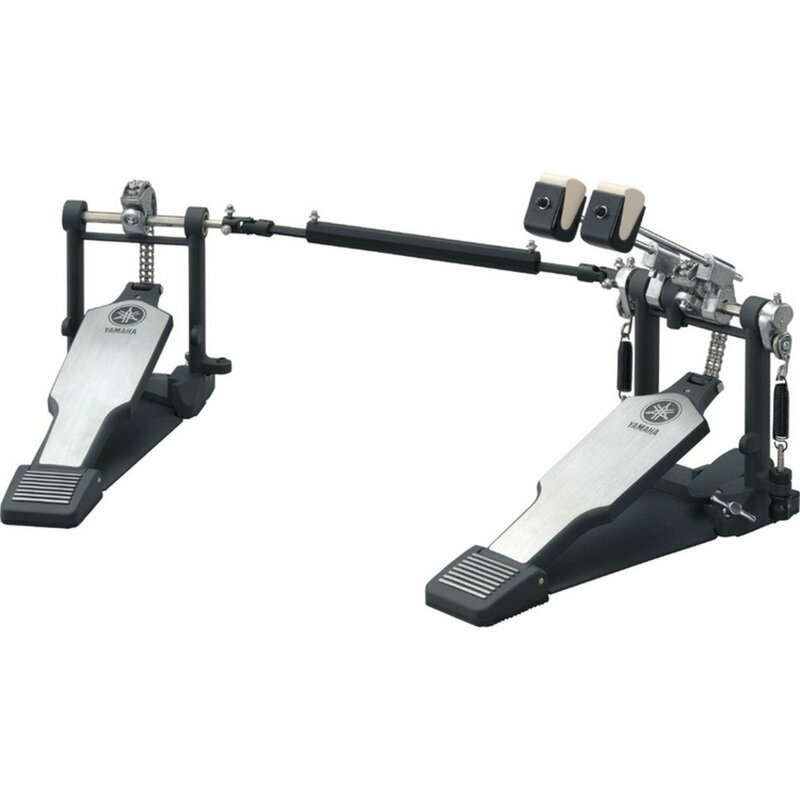 The DFP-9500C is a double chain drive double pedal, with an optional woven nylon belt included if you prefer the feel of a strap-drive pedal. The DFP-9500C has adjustments for beater angle, footboard angle, and spring tension. The pedal frames have stabilizer bars cast into them below the rocker shafts to eliminate flex. This keeps the bearings in alignment and gives the pedal a smooth feel. The hole in the beater hubs are tear drop shaped so it securely holds the beater shafts and keeps the new two-sided beaters from spinning. The new beater is felt on one side, and hard plastic on the other. The side-adjustable hoop clamp holds firmly to different thickness hoops, and tightens with a wing bolt. Frame Structure : This Yamaha original design incorporates a sub-frame just below the rocker shaft to deliver greater stability and durability. 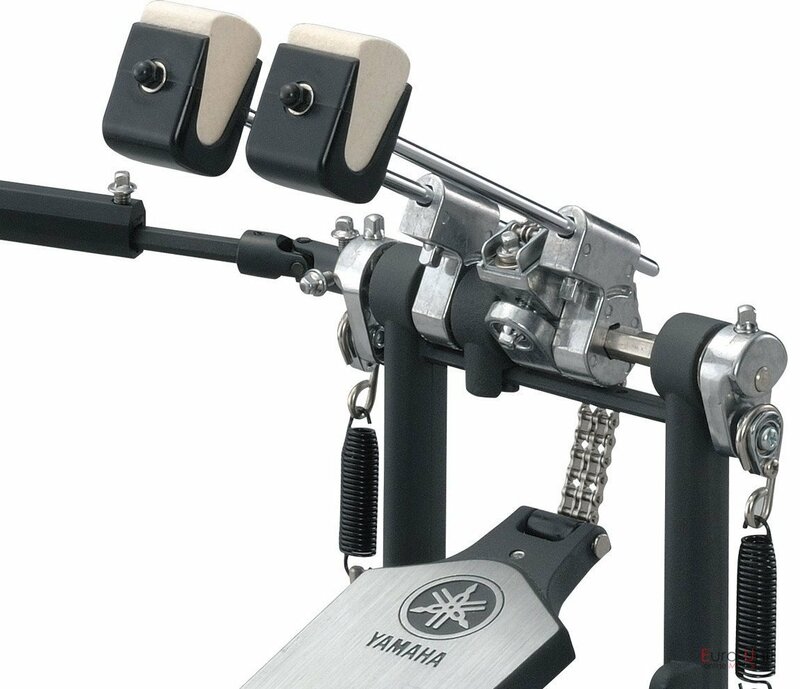 Drummers will experience smoother, more stable movement particularly in double pedal setups since bearings for both the main and remote beaters are incorporated into the sub-frame.